There is nothing better than spending time together with my little girl. She is so much fun, and we always have the best time laughing with each other. One of her favorite things to do is eat. 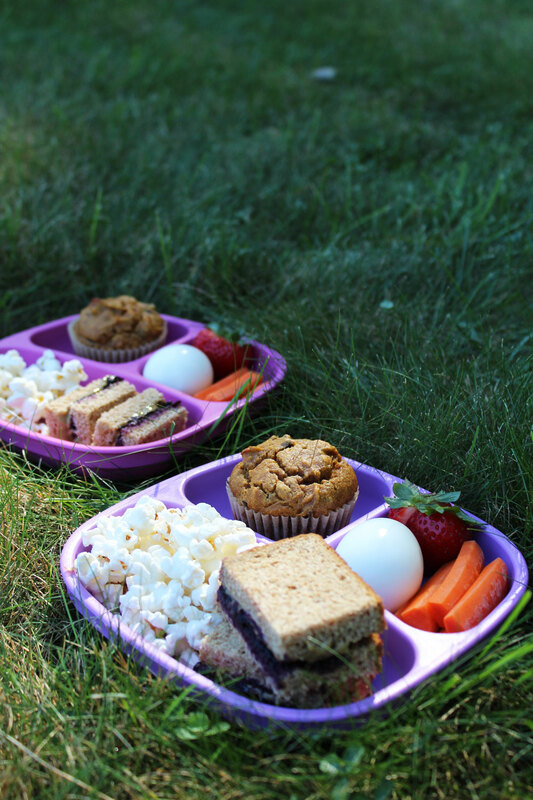 So, on this beautiful fall day, I thought a picnic would be a wonderful way to spend our afternoon. Not only does she love food, but she specifically loves my food. Or, really, anything that is on anyone else’s plate but her own. 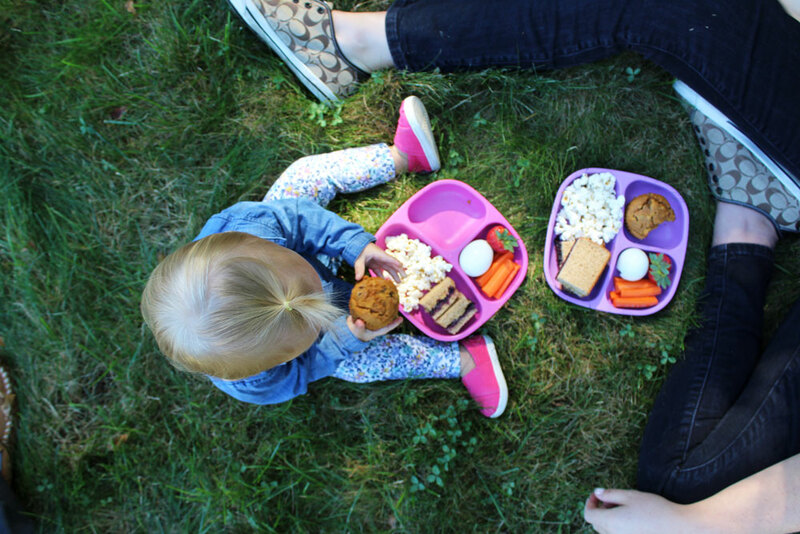 For this specific reason, I was sure to pack us each a lunch that was toddler friendly, because if it is on my plate, it is fair game. 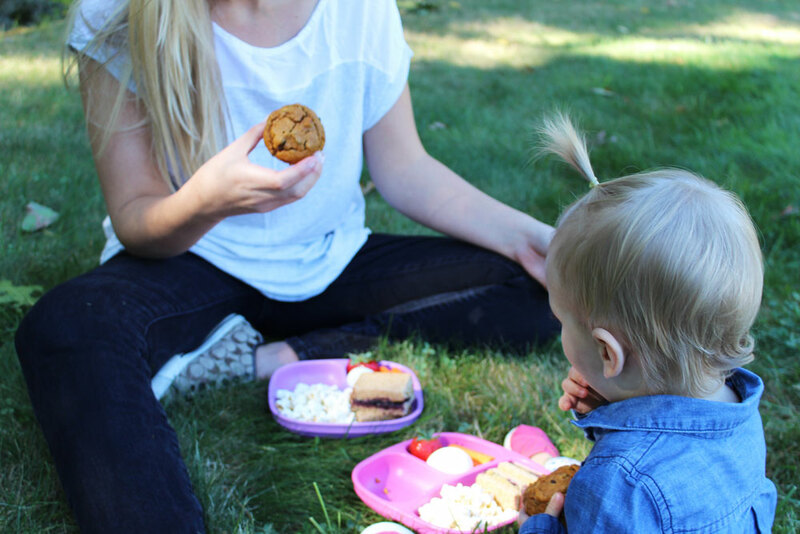 Eating healthy, balanced meals are important to our family, and I want to instill the same to our daughter. I would love nothing more than for her to be open to trying all different types of food, even some of the ones I know aren’t my favorite. That being said, one of our favorite family treats is popcorn. We LOVE popcorn – day or night – popcorn is very often being served. 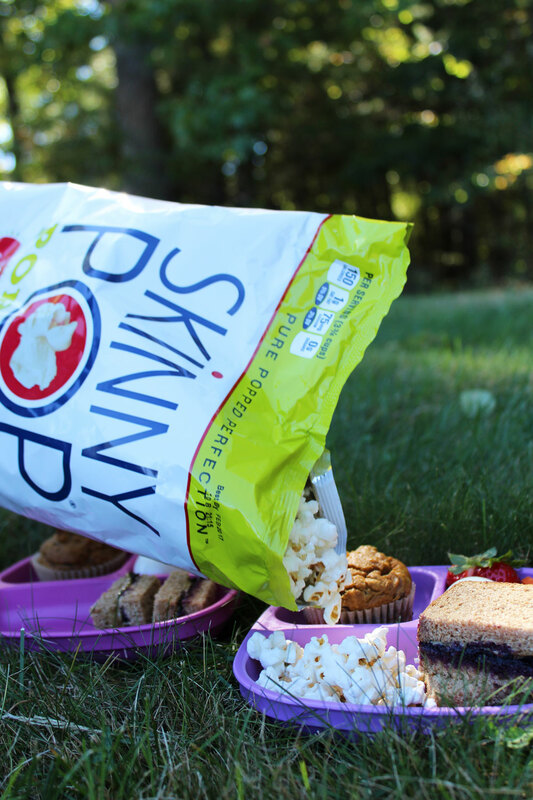 We especially love SkinnyPop Popcorn! We love the way it makes for the perfect, guilt-free snack. We have definitely passed on our love for popcorn down to our girl because she is always asking for more. 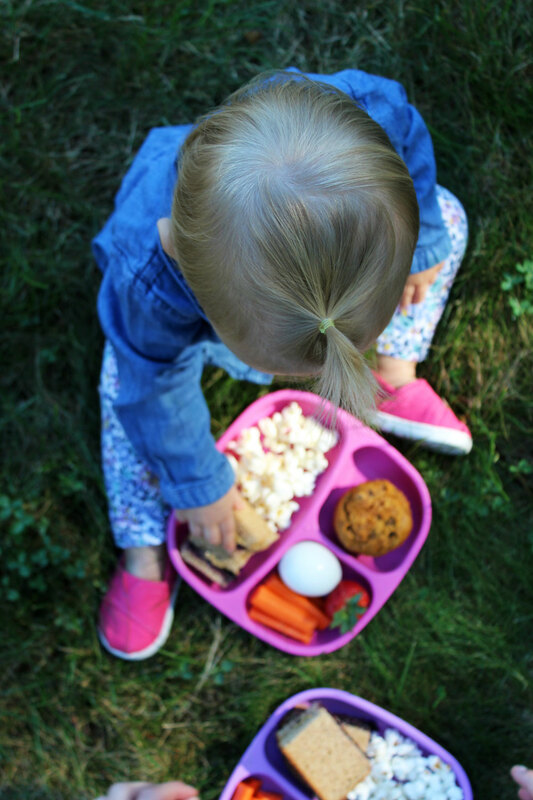 This meal filled us both up and gave us the energy to run around the soccer fields together after our lunch. One of us had some jelly smeared all over our face! 😉 It was not me!